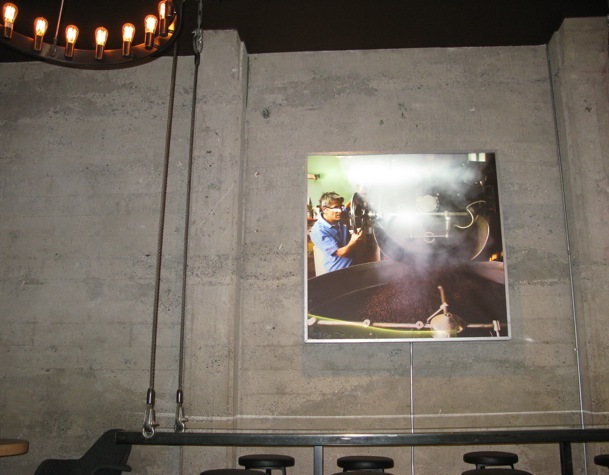 Thirteen years ago, Milano Coffee Roasters opened their doors for the very first time as Turks Coffee on The Drive. To this day, the artsy cafe remains a buzzing hotspot. 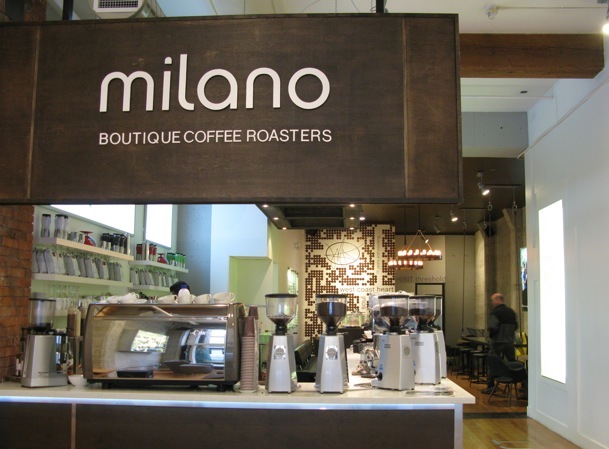 Passionate owners Brian and Linda Turko, along with coffee aficionado Krisztian Katona, have launched a third location in Gastown, known as Milano. 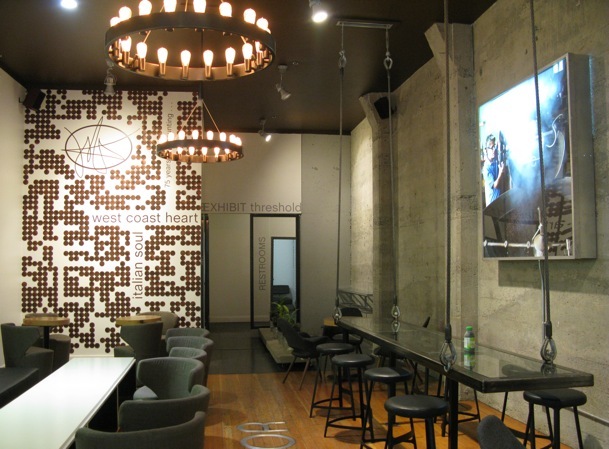 With high ceilings, concrete walls, and a tremendously edgy-cool design, it truly is a sight to see. 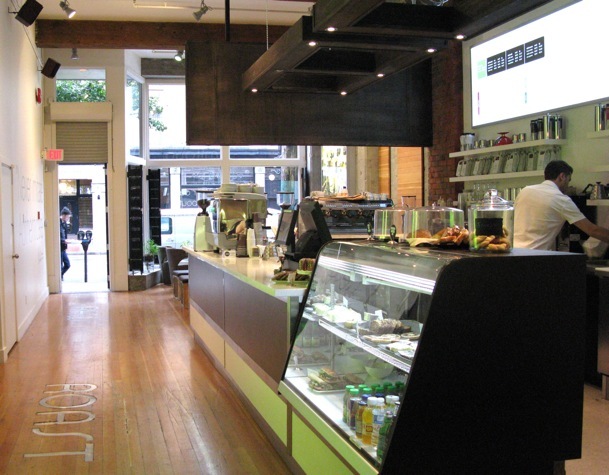 Here’s a peek at “It’s To Die For Banana Bread’s” new, beautiful Gastown home, designed by Katy Pisheh. 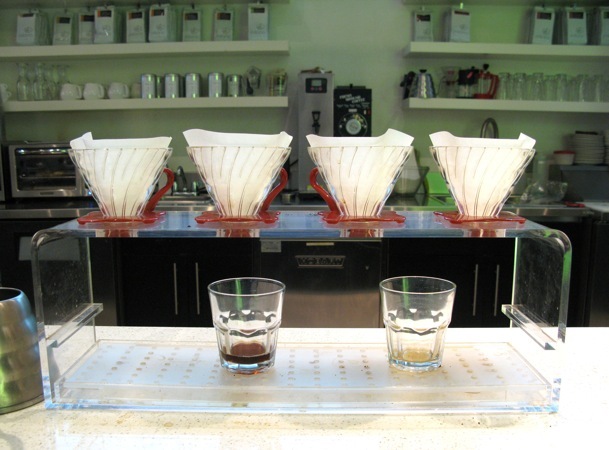 This is Milano’s drop coffee system called the ‘pour over’ — it’s 20 seconds slower than regular drip coffee, but arguably better because its fresh and made to order every time. 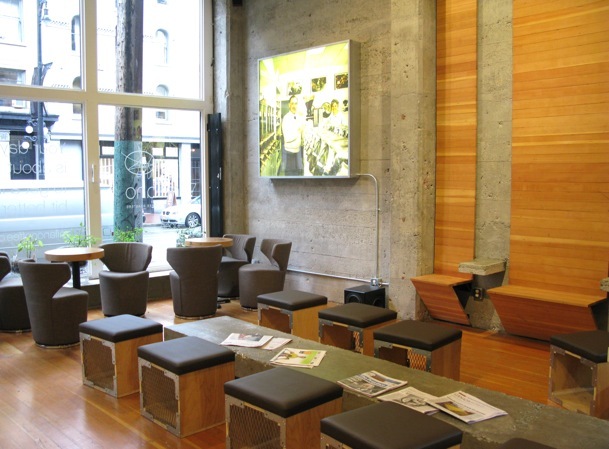 Not only is Milano focused on offering premium products, they believe in Fair Trade practices, whether it be in the purchase of their green coffee or doing business in the community. 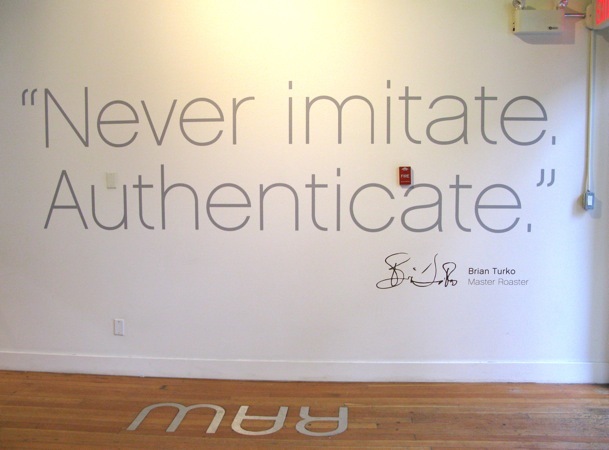 This is just one of the reason’s I’m proud to sell my product in their store. 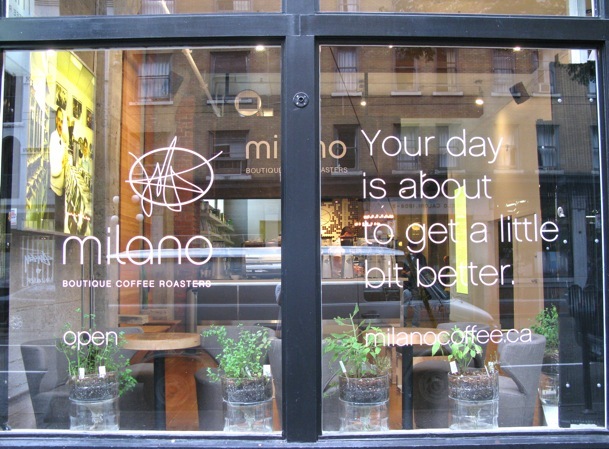 You can read Milano’s inspiring history here and follow them on Twitter here. 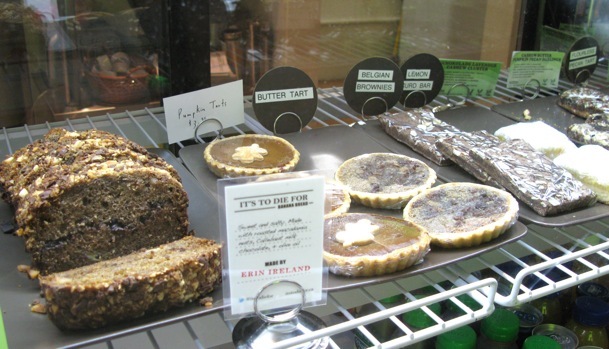 See you in Gastown, my espresso and banana bread loving friends!